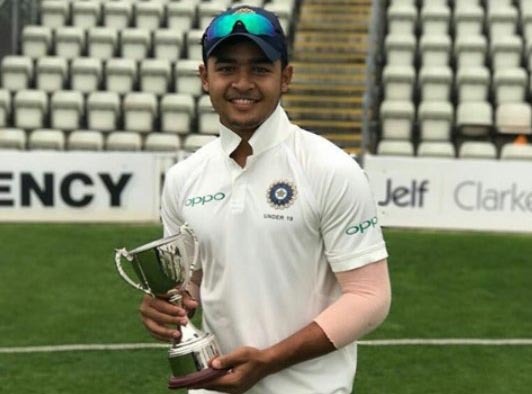 Cricket and IPL fans in Assam now have an additional reason to cheer for with Assam cricketer Riyan Parag joining the Rajasthan Royals, one of the franchises of the Indian Premier League. Parag made his IPL debut on Thursday when his team played the Chennai Super Kings led by Mahendra Singh Dhoni at Sawai Mansingh Stadium in Jaipur. Given the option to bat first, the Royals scored 151/7 where Parag batted for 16 off 14. Although he made a short appearance at the crease, his batting prowess was, nevertheless, noteworthy as. Parag, who came after the fall of Steve Smith, batted with Ben Stokes and put in his best to rebuild the Rajasthan innings. Later, Parag also made his bowling debut at the sensational IPL match where he bowled 3 overs giving away 24 runs. Touted as one of the most promising cricketers in this year’s IPL, Parag, made his Twenty20 debut for Assam in the 2016-17 Inter State Twenty-20 tournament in 2017. A batsman and a leg-break bowler, Parag was part of the young Indian cricket team that won the Under-19 Cricket World Cup in 2018. Parag is the son of former Ranji player Parag Das and national record holder swimmer Mithu Baruah.